The Imperial has expanded its army with a newly introduced Patrol Trooper. 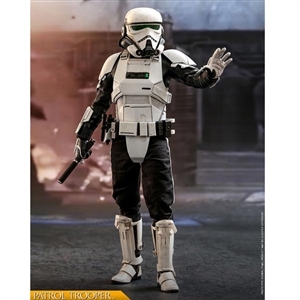 These specialist Stormtroopers are the urban equivalent of scout troopers, wearing partial armor for greater mobility. The enlarged helmet incorporates enhanced-imaging sensors and communications gear, helping patrol troopers navigate crowded city streets and handle real-time data about suspects. 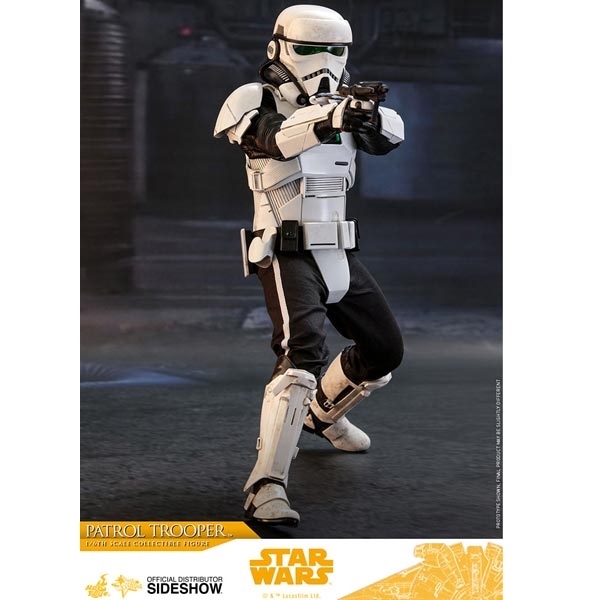 Sideshow and Hot Toys are very excited to present the Patrol Trooper Sixth Scale Figure. 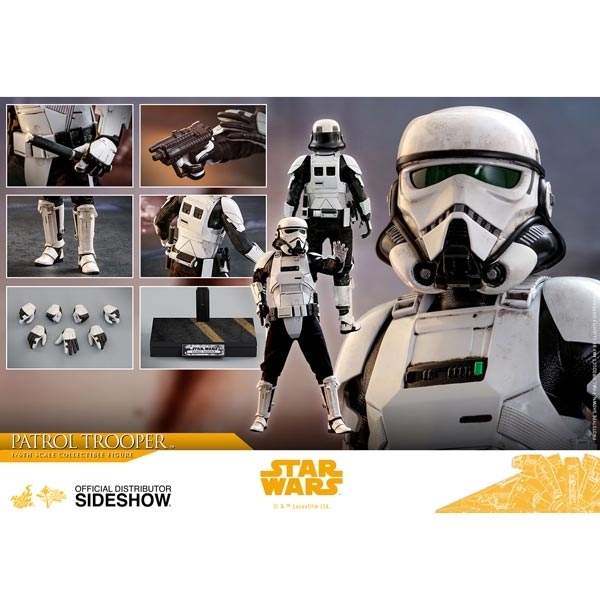 The highly-accurate collectible figure is specially crafted based on the image of Patrol Trooper from Solo: A Star Wars Story featuring a newly designed Patrol Trooper helmet and armor, a meticulously tailored fabric suit and under-suit with armor details, weapons including a pistol and a baton!